The BBC Sports Personality of the Year award takes place this Thursday and the night looks certain to belong to cyclist Mark Cavendish. Cavendish has enjoyed an incredible year, winning the green jersey at the Tour de France and then following it up with victory at the Road World Championships. The Manx man looks almost certain to walk away with the award and is currently the huge 4/11 favourite to become the third cyclist in history to win the title. 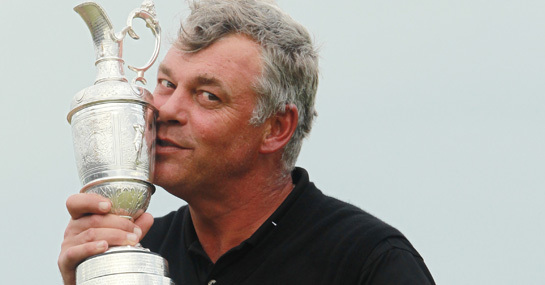 However, if you fancy taking a big risk with your Sports Personality of the Year punt, then the only other option has to be backing Darren Clarke. The Northern Irish golfer won the 2011 Open and followed it up by drinking the bar dry – something that didn’t do Andrew Flintoff any harm when he won the award in 2004 for his Ashes performances. There has also been a trend in recent years to reward sportspeople for their achievements over their career rather than just that year. Tony McCoy won last year following his Grand National win after 15 years at the top of racing, while Manchester United footballer Ryan Giggs won in 2009 for his achievements over his 20 years at Old Trafford. Clarke was runner-up in 2006 following his brilliant performance in the Ryder Cup just weeks after his wife, Heather, passed away and he remains a firm favourite with golf fans. With Clarke now 43 years-old, the time for him to win the award is starting to run out and this may be a factor for many voters when deciding who to plump for. It is certainly a long shot but, if you can’t bring yourself to back Cavendish at 4/11, then a punt on Clarke at 5/1 looks like the next best option.